Humans and various types of live organisms have existed side by side for as long as we have been on planet earth. Some of these have been of great assistance to human kind; they are beneficial in the production of food, being part of the food chain that ultimately supports us. Others have not been so helpful, even downright dangerous, to human beings; they carry and spread disease, destroy our food sources, occupy our shelter and invade our person. Insects, followed by rodents and birds have been the most successful in adapting to and exploiting human habits and behaviour. Humans have expended much effort over the time of our existence in trying to control these pests for our own survival and comfort to less or greater effect. Today we are in the most successful period that we have had of controlling these pests as we have a much greater understanding of how these pests function and technology is providing tools that are far more effective than what we have had in the past. Household Pest Control is a part of a larger strategy that is present in every aspect of human existence and has much importance as the home is where our families reside and prosper. 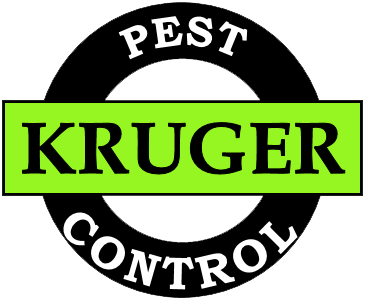 Kruger Pest Control provides a range of services that control the pests that coexist in our family homes. We take a holistic approach to targeting a pest or pests. We look at the complete building and its surrounds not limiting our approach to “internal” or “external”. The entire environment, not just part of it, must be considered to achieve the best outcomes. Cockroaches do well in our homes, with a number of species particularly the German, Australian and American cockroach, having adapted well to various environments that exist in and around our homes. Kruger Pest Control have developed treatment control measures that target the harbourage areas of the home and surrounds. This approach is most effective in giving both knock down and longer term control to the home environment without impacting the living areas. Ants can be a problem when they invade our homes and most particularly the pantry. There are a number of species that enjoy our company and they will make themselves at home by setting up nest sites within our building structures and building surrounds. Kruger Pest Control have developed treatment strategies that target these areas eliminating colonies and impeding future ingress to the home without impacting the living areas. Spiders, particularly webbing spiders, find the external areas of our dwellings a favourable environment to establish their home. Sometimes this extends into our roof voids and internal living spaces. Their webs cause an unsightly mess on our homes with some, such as the Red-back spider, being a significant safety issue as the venom from a bite can cause much pain and serious risk to life. Kruger Pest Control has well proven treatment methods for spiders in all of their harbourage areas. There are many other pests which invade our homes from time to time. Fleas, bird lice (mites), carpet pests, lawn pests, mosquitos, ticks and many more. Kruger Pest Control has effective solutions for any and all of these unwanted events. Need Domestic pest control? Call now!